There is little peer-reviewed research into the health impacts of fracking and shale gas development. However, there is significant evidence of health impacts in rural communities where drilling is taking place, mostly the U.S. Midwest and Pennsylvania. There are reports of contaminated wells, highly polluted air, patterns of similar human illnesses and sick or dying farm animals in communities where shale gas drilling and fracking is taking place. In addition, evidence is mounting of risk of contamination of drinking water sources for urban areas downstream from fracking sites. These risks, especially to water, but also to air, soil, health and rural environments, have made fracking a hot issue in the US, Canada, South Africa and Europe. Hydraulic fracturing, aka fracking, has been used for many decades; however, since the late 1990s it has a new face. The international outcry against fracking is focused on this new form of fracking, which is required to extract natural gas from non-porous layers of rock, either coal or shale. In order to profitably extract natural gas, known as “unconventional gas,” from these layers, new technologies are required. The first is the use of horizontal drilling. After drilling down to the shale layer, the drill is turned and continues horizontally for up to a mile. Second is the use of fracking fluids containing a mixture of water, sand, and highly toxic chemicals, known as slickwater. Third is the extremely high pressure with which the fluid is injected underground, pressure sufficient to create multiple fractures in, the hard shale layer in order to release the natural gas. Horizontal drilling, slickwater, and extremely high pressure are all relatively new fracking techniques, and make present day fracking significantly different from previous methods. These three techniques are also a major source of immediate and long-term risks, including health risks. This scenario is normal operation, shale gas development “done properly.” Air pollution resulting from volatile chemicals released at all stages of the operations has immediate health impacts, and probable long term ones, including cancers and endocrine disruption. Volatile chemicals from fracking fluids, fracking wastewater held in open pits, and emissions from other components of the shale gas and fracking operation contribute to highly polluted air, smog and widespread health problems. Until recently, the chemicals used in fracking have remained secret. This secrecy is one reason there is so little research on health impacts. Lack of information has also made it difficult for affected individuals to prove a connection between fracking and shale gas operations and illnesses or well contamination. Much of the information available about the chemicals contained in fracking fluids comes from Dr. Theo Colborn of the Endocrine Disruption Exchange (TEDX). Colborn and her team painstakingly pieced together a list of 956 chemicals contained in fracking fluids. (3) The list is not complete. For 43% of the products studied, less than 1% of ingredients were disclosed. (4) Of the 956 chemicals identified by CAS number, over 80% have respiratory effects, 50% have brain and nervous system effects, more than 25% are carcinogenic and mutagenic, and over 35% are endocrine disruptors. (5) The list includes both volatile and soluble chemicals. Among the hazardous chemicals found in the largest number of fracking products were the carcinogens 2BE (Ethylene glycol monobutyl ether) and naphthalene, and the reproductive toxins xylene and ethylene glycol. (6) Many of the chemicals have 10 or more adverse health effects. Industry maintains that because only half of one percent of the fracking fluid is made up of these unidentified chemicals, the impact won’t be significant. However, half of one percent is still at least 500 gallons per frack of chemicals, some of which can be harmful in parts per million or parts per billion. Industry has emphatically argued that methane, a flammable gas that has appeared in many residential wells in drilling areas, could not possibly be caused by fracking. They argue that methane and other substances from the shale layer will be trapped there and will not migrate into drinking water. However a 2011 study (17) by scientists at Duke University documented that methane from the shale gas layer contaminated wells up to two miles from a drilling site. Drinking water wells close to drilling sites had levels of methane up to 17 times higher than wells farther away, and the methane in the wells was identified as methane from the shale layer. Although no chemicals were found in wells in this study, the fact that the shale level methane gas reached wells indicates that materials can – and do – travel between the shale layer and aquifers. Thus, it is possible that toxic chemicals from fracking fluids, which may move more slowly than gases, may also contaminate aquifers eventually. These toxins in this huge volume of highly contaminated wastewater include both volatile and soluble chemicals (20) and can be threats to health in other ways as well: through air pollution, pollution of wells and aquifers from spills, improper disposal, and accidents, and at end of lifecycle disposal. There is some evidence of contamination of soil as well, both from spills and leaks, and from volatile chemicals that evaporate into the air and then condense, settling on soil close to drilling areas. Generally, 30% – 70% of the chemical laden water that is injected underground returns to the surface with the natural gas it releases. A certain percentage remains underground. In some cases, very little returns, “lost” somewhere underground. The long-term impacts of this “lost” contaminated fluid are another unknown risk of shale gas fracking. Finally, there is a seldom-mentioned health impact of fracking, its impact on mental health, as well as the emotional and financial stresses of living in what has been called “Fracking Hell.” There is the stress of having to ration water which once was plentiful, the impact of noise and light 24 hours a day, where once there was quiet, open space, and starry skies, the impact of knowing you can’t protect your once healthy child from illness and harm. There is the uncertainty and fear caused by unexplained medical symptoms, of developing a chronic illness or disability, of losing your physical strength and independence. There is the impact of being trapped in a situation you know is making you or your family sick but unable to leave because your home is now worthless, the impact of losing the farm your family built up over generations because your water is polluted and your cattle are sick, the impact of living in fear of what your environment may be doing to your family. There is the impact of having to face the reality that your welfare means nothing to people in power, feeling disbelieved, lied to and uncared about, and the grief of seeing a rural environment and way of life you have chosen and love destroyed by industrialization and pollution. These stresses are already apparent in places where fracking is taking place, as well as where fracking is anticipated. They need to be counted in the health costs of fracking and shale gas development. One of the most remarkable things about fracking and shale gas development is that the potential impacts of this high-risk activity remain understudied and poorly understood. Although there is evidence of patterns of illnesses emerging in areas where shale gas development has taken place, there has been no epidemiological monitoring to detect emerging patterns of illness, a practice that Colborn recommends be implemented. (22) Health changes in communities where drilling is taking place have not been studied, in part because of the secrecy around fracking chemicals. Without hard facts about the chemicals in use, researchers cannot make definitive connections between shale gas operations and health effects. Many of the unknowns have long-term implications. What will be the impact on children and developing fetuses in areas with high airborne toxins, or undetected toxins in drinking water? 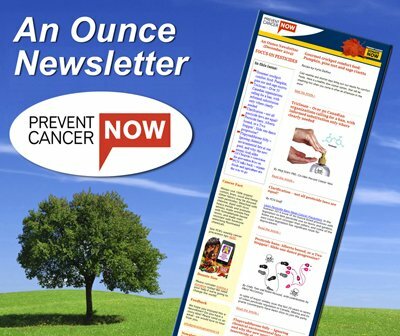 What will be the impacts on adults and children of 24 hour a day exposure to airborne toxins, including carcinogens? What will be the impacts on children and adults of drinking contaminated water? What will be the impact of permanently removing millions, or trillions, of gallons of water from the water table, that portion of fracking water which remains underground? Where will the toxic fracking chemicals left underground go — over decades, over a century? Over the last few months, France and New Jersey have banned fracking, while New York and the Karoo region of South Africa have imposed moratoriums. Quebec, which is conducting a detailed review of fracking, imposed a moratorium after a report by the Bureau d’audiences publique sur l’environnement (BAPE) revealed that 19 of 31 exploratory wells in Quebec were found to be leaking. In New Brunswick and Nova Scotia, community opposition to shale gas and fracking is strong and growing as the industry is poised for major development. New Brunswick’s PC government and Nova Scotia’s NDP government seem intent on pushing ahead with shale gas, while imposing only minimal regulatory changes. Both governments have refused to undertake a complete evaluation of immediate and long-term risks before deciding to proceed, and both have refused to consider potential health impacts. What should be done now? With so much evidence of harm, and so much at risk, it makes basic sense to put a moratorium on fracking for at least 10 years, until there is evidence from independent sources about the full costs of this type of development — costs to health, to clean water, to the environment, to rural communities, to other economic sectors and the impact in terms of climate change solutions. In ten years we may well find that there are better energy solutions than shale gas. In the meantime, we will have minimized the damage, rather than multiplying it. Barbara Harris works with the Environmental Health Association of Nova Scotia (EHANS) and is co-author of the Guide to Less Toxic Products, www.lesstoxicguide.ca. She hopes to live happily and peacefully in River John, Nova Scotia, undisturbed by fracking and shale gas, and she wishes the same for all those whose lives are threatened by shale gas development. 3. Natural Gas Operations from a Public Health Perspective, Colborn et al, accepted for publication in International Journal of Human and Ecological Risk Assessment, September 4, 2010. Expected publication: September-October 2011. 16. 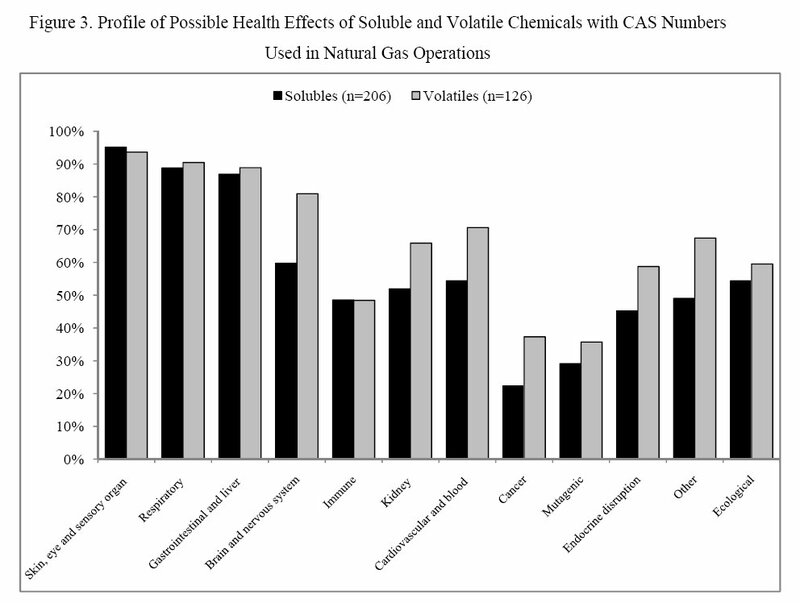 Natural Gas Operations from a Public Health Perspective, Colborn et al, September 4, 2010. Expected publication: September-October 2011. 18. Research and Policy Recommendations for Hydraulic Fracturing and Shale-Gas Extraction, Jackson et al, 2011, Center on Global Change, Duke University, Durham, NC. and Ecological Risk Assessment, September 4, 2010. Sharon Wilson of Texas Oil and Gas Accountability Project on the health impacts of shale gas and fracking in Texas. 5 minute video, text version available. Sharon Wilson, Texas organizer with Earthworks Oil and Gas Accountability Project (OGAP) collected these case studies for presentation to the EPA. Also included is information on drops in property values and links to letters from physicians. 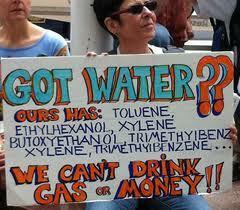 The Case for a Ban on Gas Fracking, Food and Water Watch, June 13, 2011. This paper shows that API knew that released wastewater has potential to build up in fish with cancer causing potential. Submitted to EPA as draft document, never released to public. This study was provided to The Times by an E.P.A. official who said it shows that dilution of drilling waste does not always succeed in eliminating the health risks posed by that waste. The study is marked confidential and was conducted on behalf of the American Petroleum Institute in 1990. It found a potential increased risk of cancer among people who often eat fish from waters where drilling waste is discharged. The study is relevant because state regulators in Pennsylvania have said that dilution is effectively removing the risks posed by drilling waste that is discharged into rivers. Importantly, this study found an increased risk of cancer when drilling waste was dumped into a larger body of water than Pennsylvania rivers. Furthermore, state records indicate that the radium levels found in Pennsylvania wastewater are much higher than those used in this study. Includes information about TENORM, Technologically Enhanced Radioactive Material, which is produced when activities such as uranium mining, oil and gas production or sewage sludge treatment concentrate or expose naturally occurring radioactive materials in ores, soils, water, or other natural materials. TENORM ,defined by the National Research Council of the National Academy of Sciences as: “Technologically Enhanced Naturally Occurring Radioactive Materials”, refers to are any naturally occurring radioactive materials not subject to regulation under the Atomic Energy Act whose radio nuclide concentrations or potential for human exposure have been increased above levels encountered in the natural state by human activities. While federal and state agencies have tried to develop ways to protect humans and the environment from harmful exposure to the radiation in such materials, TERM remains a challenging problem in the United States. This link will take you to part one, which contains links to the other parts of the series, and to documentation on which the series was based, including 30,000 pages of information obtained through FOI. The series contains important information which has been suppressed until now about the inherent hazards of fracking. 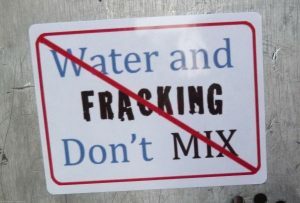 Fracking the Future: How Unconventional Gas Threatens Our Water, Health and Climate, Carol Linnett et al, May 6, 2011. This paper provides a comprehensive study of the impact of shale gas development on Canada’s water. It was written before the information was obtained about fracking wastewater containing high levels of radioactive materials. Burning Waters, a film by Cameron Esler and Tadzio Richards produced in association with CBC. In the Rosebud River valley, an hour east of Calgary, the water in many homes can be lit on fire. Everyone agrees there’s gas in the water. Few agree on why. This 17 minute video from the BBC British Ecological TV Unit provides an excellent overview of the risks of fracking. It includes interviews with citizens affected by drilling near their homes, and with experts on shall gas development. It is particularly informative around impacts of gas exploration in small towns, problems with wastewater disposal, and dangers from radium and radon in shale deposits. My Water’s on Fire Tonight, a catchy musical package with solid information. Lots of accurate information in a animated film version of the history and risks of fracking.